Do Your Sales Teams Have the Power of Micro Yet? Sales professionals today can’t afford long trainings due to tight deadlines and swelling product lines. To be efficient at their jobs, they need to have sound product knowledge, in sync with product launches. 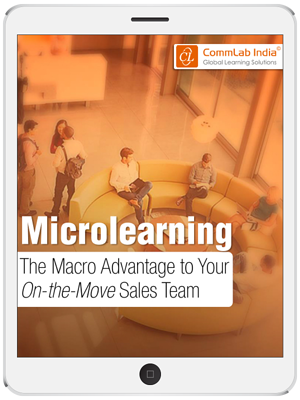 This eBook will elucidate how and why Microlearning can help sales teams by making short, focused training available anywhere, anytime, and on any device.